Gary Mack was born Lawrence Alan Dunkel in Oak Park, on 29th July, 1946. After earning a degree in journalism from Arizona State University in 1969, he worked at a variety of AM and FM radio stations as a disc jockey, music director and program director. It was during this period he started using the name Gary Mack. During this period he developed a keen interest in the assassination of John F. Kennedy. In the 1970s, he discovered that a Dallas police officer on duty on 22nd November, 1963, had left the microphone on his radio switched on, and that the audio material had been transferred to tape at Police Headquarters. The background sounds on the tape, which Mack obtained from a retired police officer, suggested to him that a fourth shot had been fired by a second gunman from the grassy knoll. 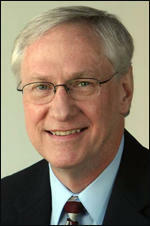 Mack eventually became was an announcer, camera operator and news producer for KXAS-TV in Fort Worth and Dallas from 1981-93. He was "senior consultant" for the first two parts of the television series The Men Who Killed Kennedy. This pleased people like Aynesworth who later commented “I doubt if anybody anywhere knew more details about all aspects of the JFK assassination and aftermath than Gary Mack.” Mack played an important role in discrediting the Madeleine Brown story about Lyndon Baines Johnson being involved in the assassination. In 1994 Mack became an archivist and later curator of the Sixth Floor Museum at Dealey Plaza in Dallas, where he identified and acquired artifacts and restored and preserved the museum's collection of films, photographs and videotapes regarding the Kennedy assassination. According to the New York Times Mack "added 250 hours of television news coverage of the assassination, most of it from the archives of local television stations, and persuaded many eyewitnesses to donate photographs and film". Over the years Gary Mack has been a Kennedy assassination subject matter advisor to ABC, CBS, NBC and PBS as well as for The Dallas Morning News, Fort Worth Star-Telegram, Washington Post, Los Angeles Times and other news organizations. He has also been a consultant to several Discovery Channel and History Channel programs. Mack told The Dallas Morning News that he did not believe Lee Harvey Oswald was the lone gunman who killed John F. Kennedy: “I’m personally convinced there’s more than just Oswald involved, but I can’t prove it and neither can anyone else." In 1998 Mack co-produced the Emmy award winning JFK: The Dallas Tapes and in 2003 co-produced the PBS special JFK: Breaking The News. Gary Mack died of cancer on 15th July, 2015. The original 1988 British broadcast named the three hit men and accused them of killing Kennedy. One, Sarti, was dead, but the other two were still alive. One threatened to sue Central and had a good alibi. Central quickly produced a 30-minute "apology" program in which the "assassin" told his story. The guests included Robert Groden, Robert Blakey, Howard Willens of the Warren Commission, and James Duffy. I was not invited. The moderator and all of the guests, except Groden, criticized Nigel for failing to do thorough research. Groden tried to emphasize the film's strong points. The "apology" program, taped in Washington, aired only in England. 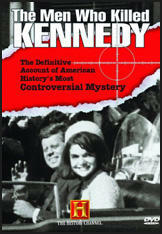 Parts one and two of "The Men Who Killed Kennedy" were then re-edited to remove the accusations, but the show's credibility was damaged. That was the real reason ABC, CBS, NBC and PBS lost interest in purchasing US rights from Central, even though all four initially wanted the series. (2) Gary Mack published an account of Madeleine Brown's story on 14th May, 1997. Madeleine has claimed over the years that she attended a party at Clint Murchisons house the night before the assassination and LBJ, Hoover and Nixon were there. The party story, without LBJ, first came from Penn Jones in Forgive My Grief. In that version, the un-credited source was a black chauffeur whom Jones didnt identify, and the explanation Jones gave was that it was the last chance to decide whether or not to kill JFK. Of course, Hoover used only top FBI agents for transportation and in the FBI of 1963, none were black. Actually, there is no confirmation for a party at Murchisons. I asked Peter ODonnell because Madeleine claimed he was there, too. Peter said there was no party. Madeleine even said there was a story about it in the Dallas Times Herald some months later (which makes no sense), but she had not been able to find it. Val Imm (Society Editor of the Dallas Times Herald) told Bob Porter (of the Sixth Floor Museum at Dealey Plaza staff) recently she had no memory of such an event and even looked through her notes - in vain. Could LBJ have been at a Murchison party? No. LBJ was seen and photographed in the Houston Coliseum with JFK at a dinner and speech. They flew out around 10pm and arrived at Carswell (Air Force Base in northwest Fort Worth) at 11:07 Thursday night. Their motorcade to the Hotel Texas arrived about 11:50 and LBJ was again photographed. He stayed in the Will Rogers suite on the 13th floor and Manchester (William Manchester - author of The Death of a President) says he was up late. Could Nixon have been at Murchisons party? No. Tony Zoppi (Entertainment Editor of The Dallas Morning News) and Don Safran (Entertainment Editor of the Dallas Times Herald) saw Nixon at the Empire Room at the Statler-Hilton. He walked in with Joan Crawford (Movie actress). Robert Clary (of Hogans Heroes fame) stopped his show to point them out, saying . . . either you like him or you dont. Zoppi thought that was in poor taste, but Safran said Nixon laughed. Zoppis deadline was 11pm, so he stayed until 10:30 or 10:45 and Nixon was still there. In 1982 JFK researcher Gary Mack noticed what he thought to be the image of a gunman behind the fence on the knoll in a Moorman slide copy given to him by Robert Groden. Mack asked whether I could copy the image, enlarge and enhance it. By copying the slide at great enlargement and using a wide range of exposure stops, I was able to derive a number of optimum exposures which show in clear detail the face of a man whose chin is obscured by a puff of smoke, in a rifle-firing, pose. He seems to be wearing a Dallas police uniform, complete with shoulder patch and badge. Considering the original image is smaller than an eighth-inch square, the image is extremely sharp. This image was later confirmed by computer photoanalysts at Massachusetts Institute of Technology and Jet Propulsion Lab, but neither would go public because of political considerations. Gary Mack is a friendly and very helpful guy, but keep in mind his primary role these days is with the Sixth Floor Museum, which promotes the lone-assassin nonsense. Gary still says he believes in conspiracy, but defends virtually every ridiculous aspect of the official story.